Everything Elsea: Come on, Kanye. What's she going to do with a wall of flowers. Come on, Kanye. What's she going to do with a wall of flowers. 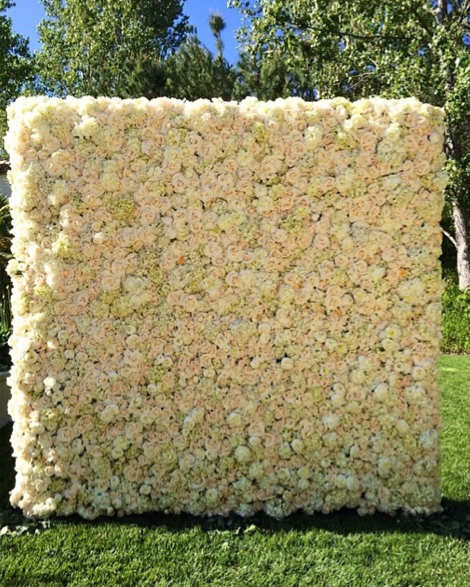 Kanye gave Kim a "wall of flowers" for Mother's Day. What is she supposed to do with a wall of flowers? Does she turn it into a table and eat on it? Or maybe turn it into a bed to sunbathe on outside? I recently read that there's a secret celebrity group that meets regularly which Kanye is a member of. Kanye's ticked because they won't let Kim in because she's not a real celebrity. Poor Kanye. You all know my feelings towards Kanye. We'll just add this to the list.